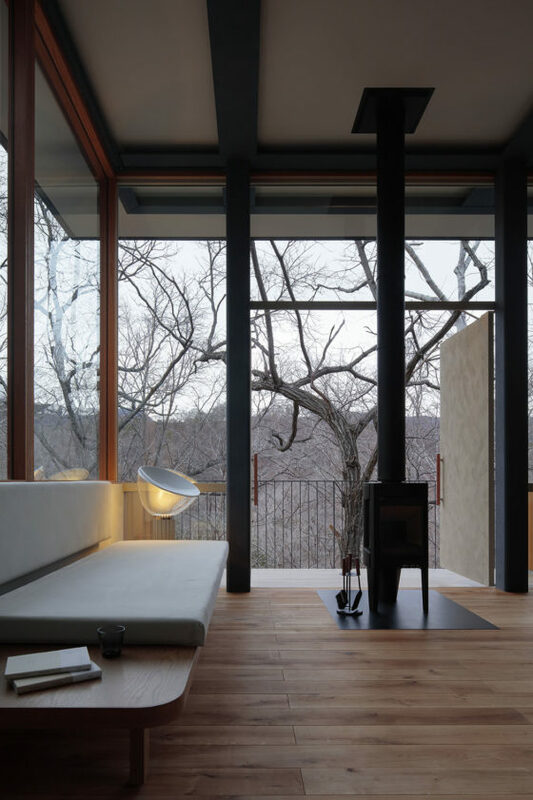 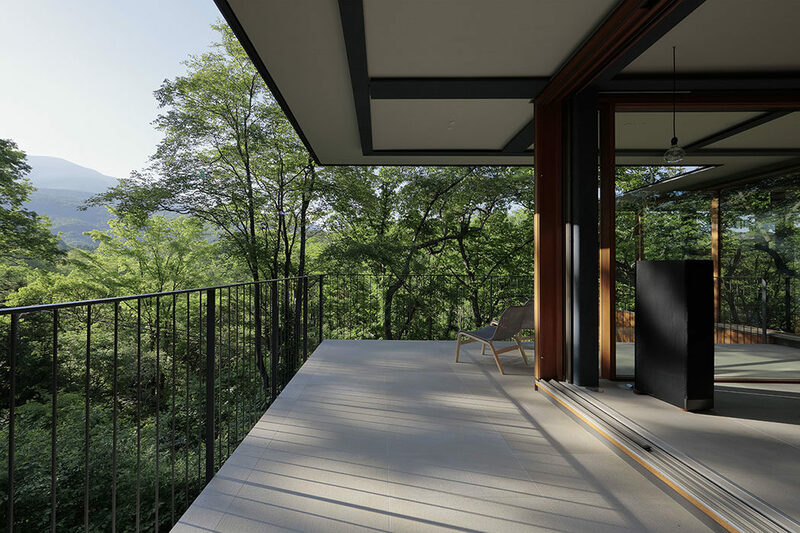 This is a location surrounded by beautiful scenery overlooking a wooded valley, highlighted by the sunshine on Mount Asama, which gives continually changing perspectives through the day. 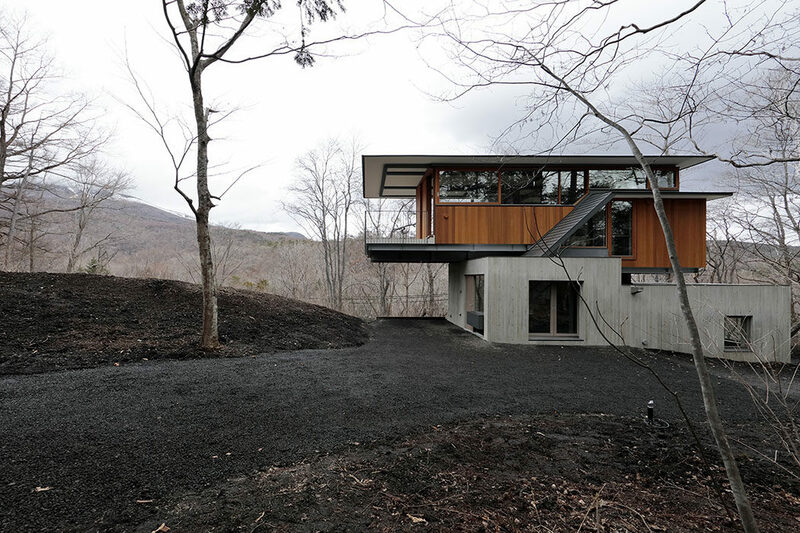 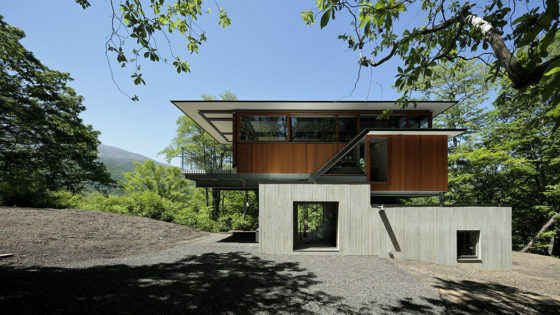 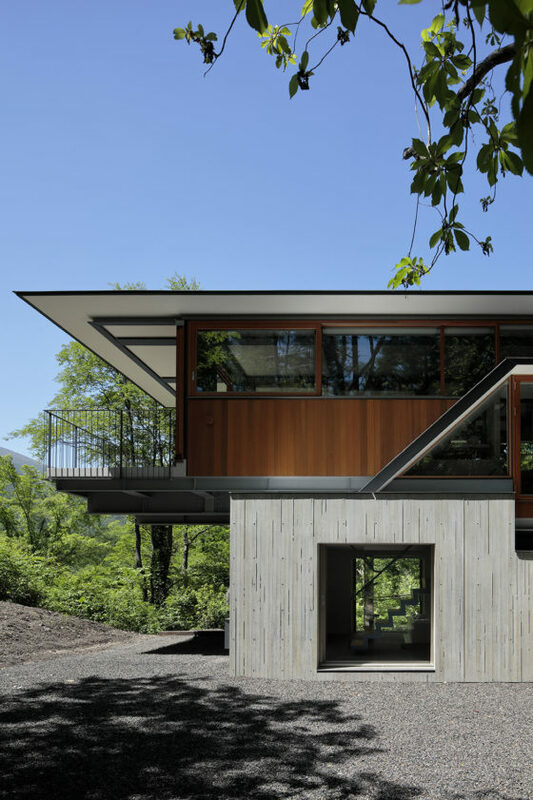 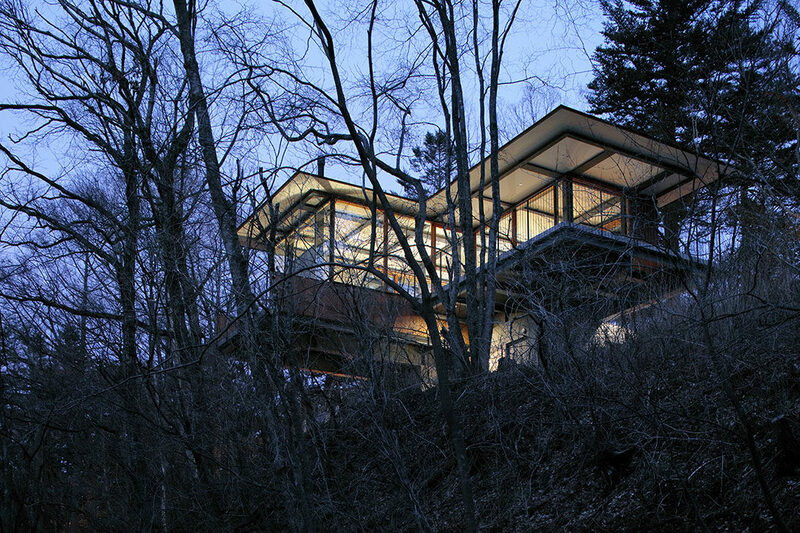 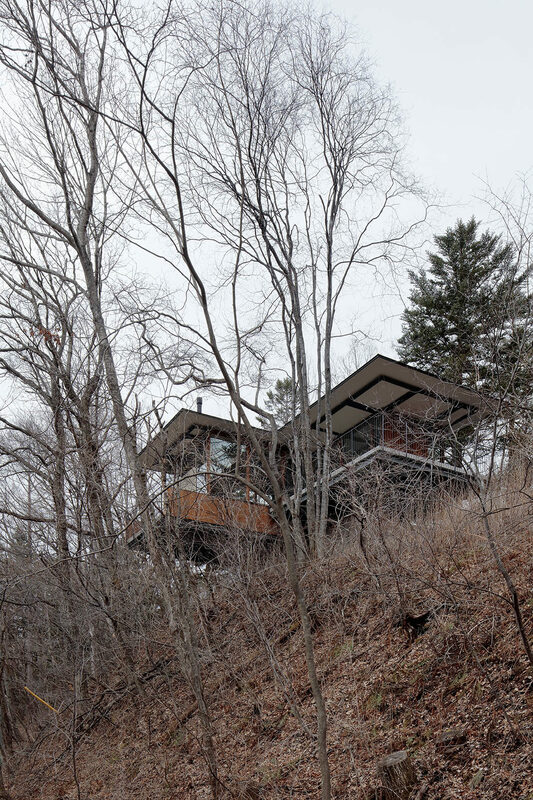 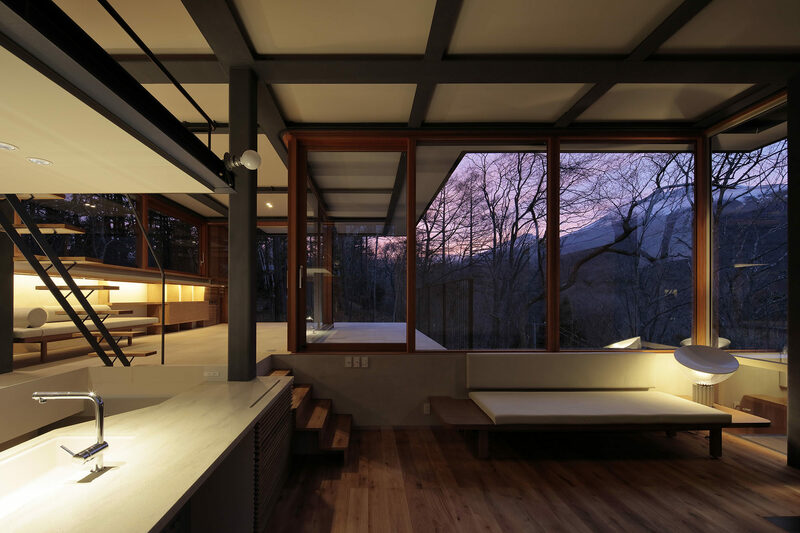 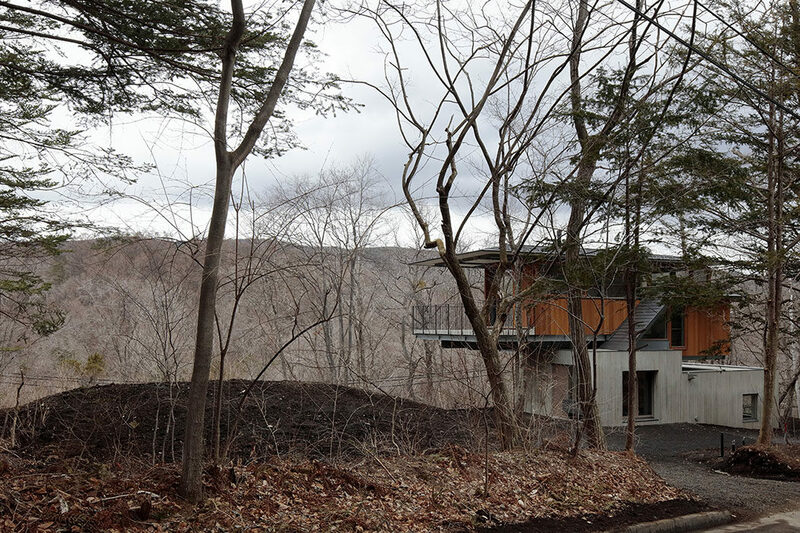 The building is extended on its north side over the dropping slope, forming an L-shape that gives uninterrupted views of Mount Asama over the trees. 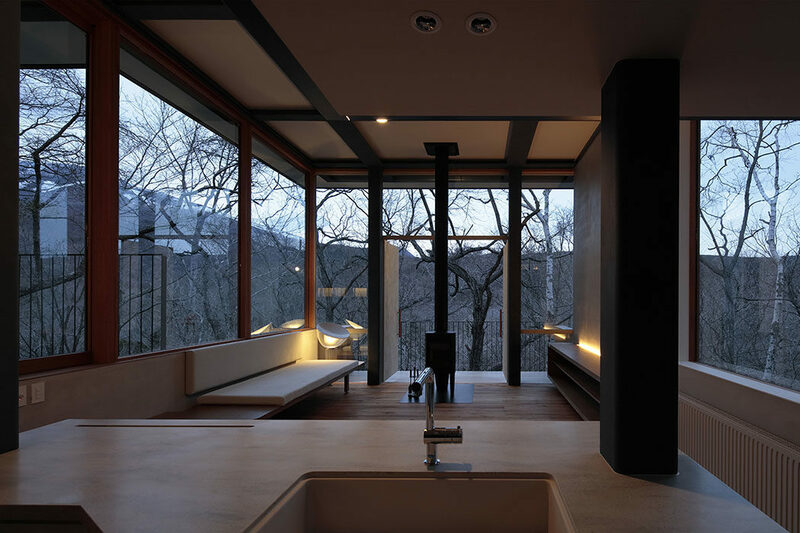 The effect makes you feel part of the natural scenery and not merely a spectator, refreshing mind and body. 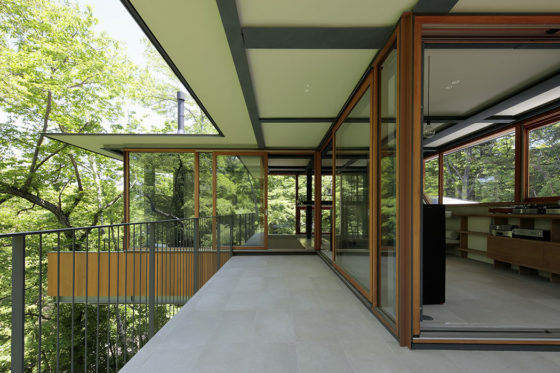 By opening the large windows and going onto the large outdoors L-shaped terrace you can sense the mountain, ridgeline, surrounding grove and refreshing wind. 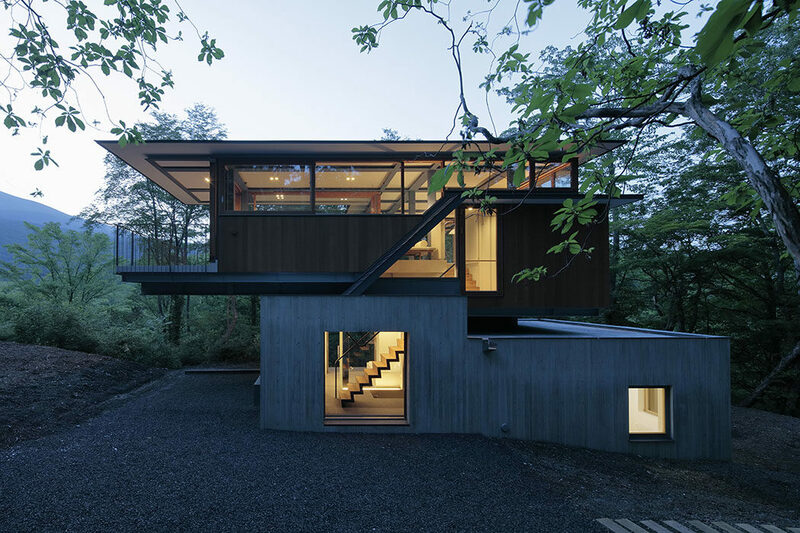 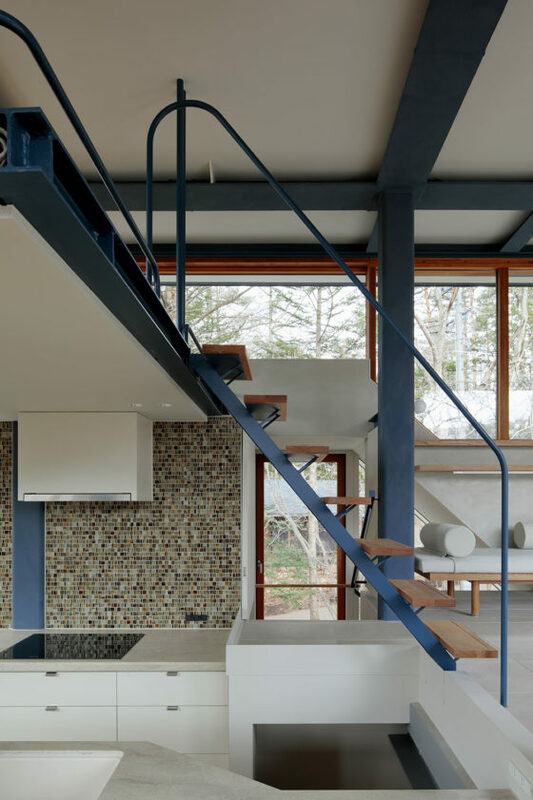 The first floor is formed from reinforced concrete while the second floor uses a light steel frame that sits above the first floor and extends 5.5 meters from the first floor to the north, giving strength and structural integrity that avoids burdening the slope. 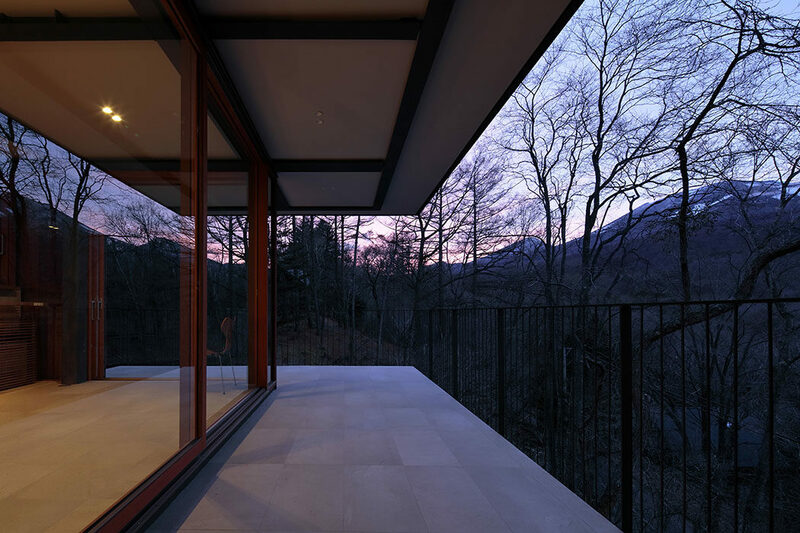 The cantilever extension is not visible from the approach road to the south and the perceived volume of the building is reduced. 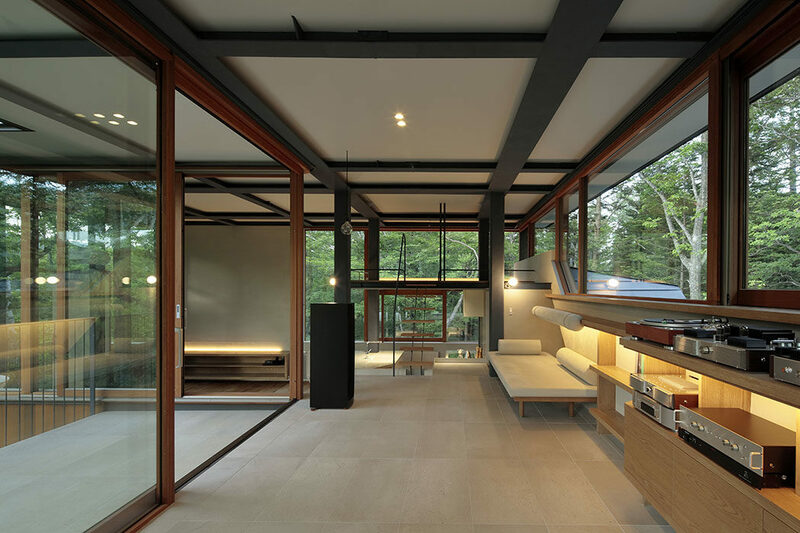 The second floor is divided into two areas with a level difference of 90 centimetres with the cantilevered extension at the lower level. 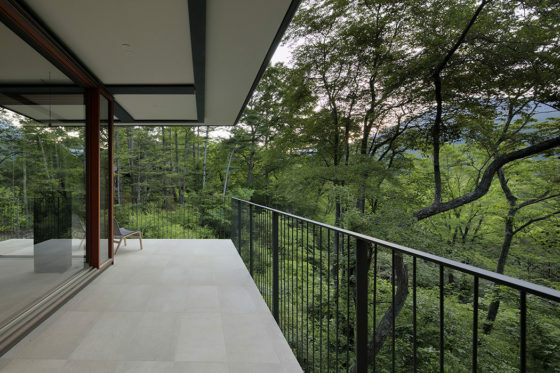 Terrace floating in the scenery where you can feel mountain, ridgeline, grove and wind together. 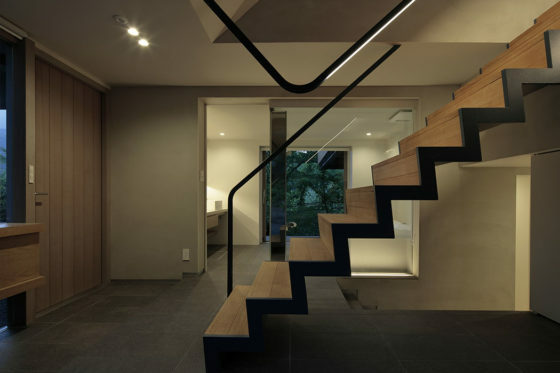 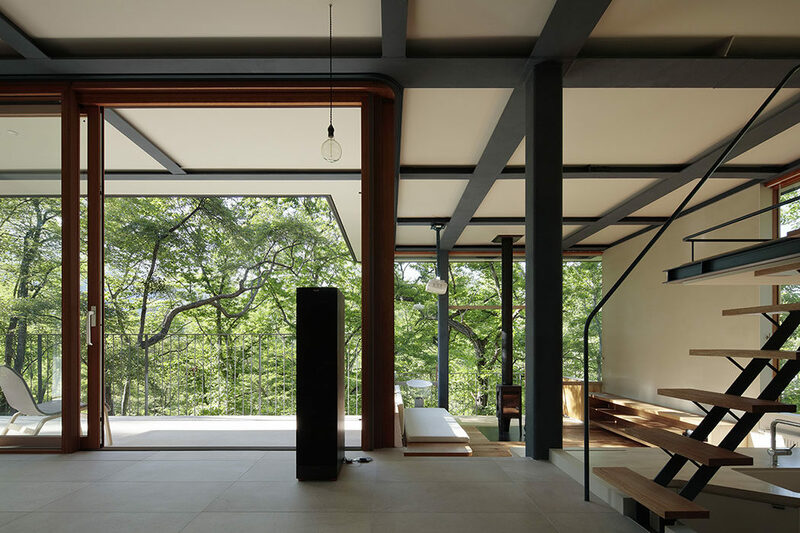 The first floor is a quiet and calm place surrounded by concrete walls with the entrance and bathroom separated by a glass screen. 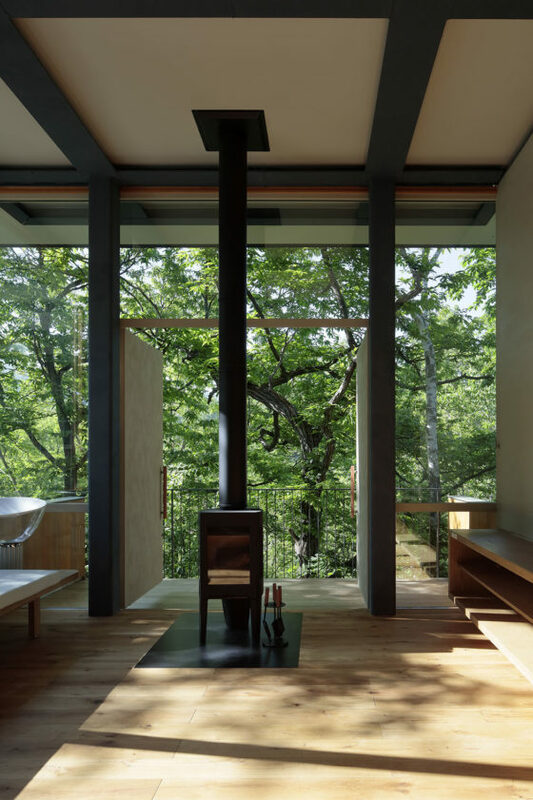 It is designed for children to play, with good access to the ground outside and for full enjoyment of bathing. 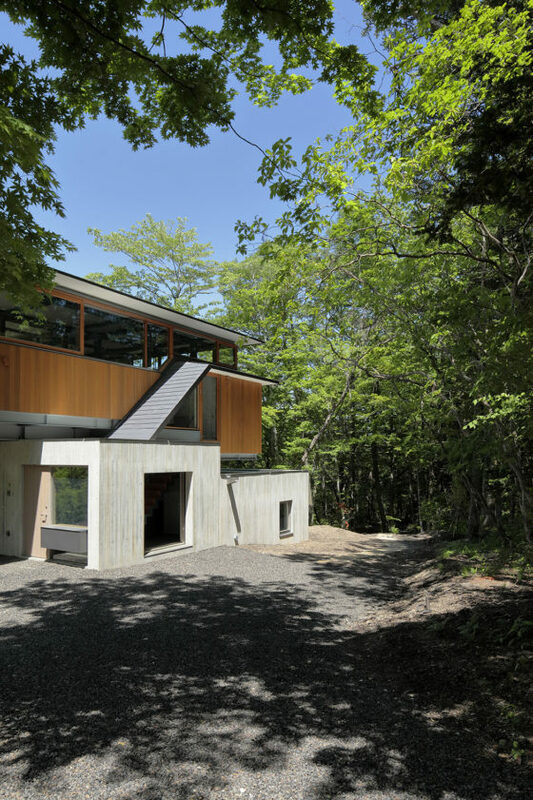 When the north and south windows are opened the green of the slope can be fully appreciated. 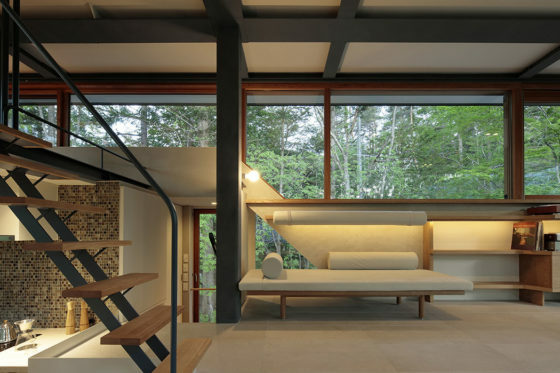 The first floor is a quiet and calm space surrounded by concrete walls. 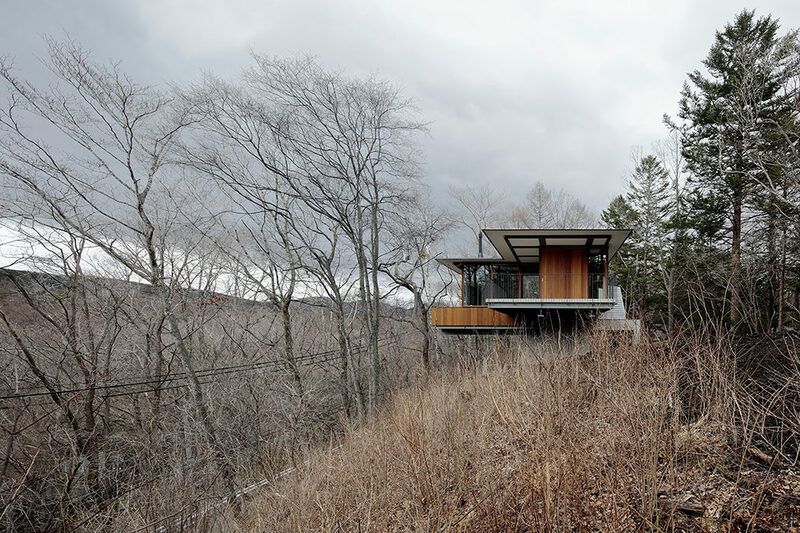 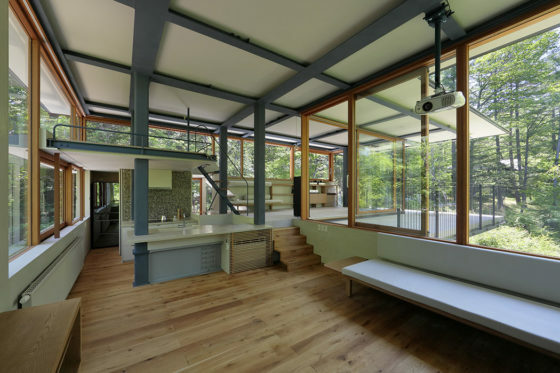 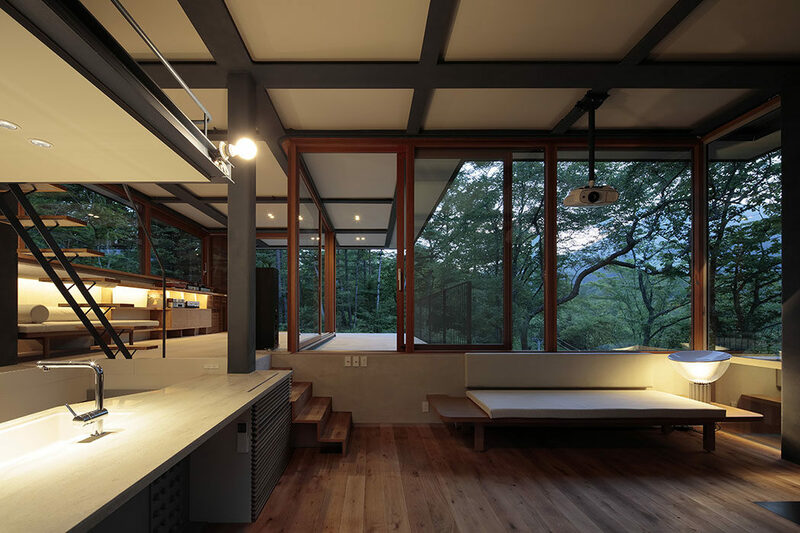 The upper floor which floats in the air and enjoy the scenery, the space of the soil which connects with the ground, has a comparative composition.